Using a custom-made flow simulator, it is now possible to study how aortic surgery may affect the long-term function of the heart. This can potentially lead the way to better treatment for certain heart disease patients. Researchers at Aarhus University can now for the first time measure how the repair of the aortic root affects the long-term stress distribution in the affected parts of the heart and the aorta. They are using a method that may lead to qualification of new surgical procedures in the treatment of patients with aortic root aneurysms or outpouchings at the aortic root. 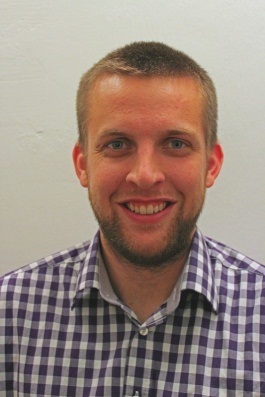 Tommy Kragh Bechsgaard is a PhD student at Aarhus University, and he has been granted financial support from sources including the Danish Heart Foundation to complete his experiments. “We examine how the repair techniques used by the surgeons affect the stress distribution of the heart immediately after surgery and in the long term. Once we have these data, we may be able to optimise both the surgical techniques and the geometry of the implants so that the stress distribution after surgery is as close as possible to the native setting,” says Tommy Kragh Bechsgaard. An aortic aneurysm is an outpouching on the aorta, and today it is treated by means of a surgical procedure in which the diseased tissue is replaced with an artificial tube made of a flexible material. With the new flow simulation technology, the researchers hope to be able to predict how the current surgical techniques and implant materials will affect the heart. “Maybe we will be able to predict inappropriate shifts in the stress distribution at a very early stage and long before the patient experiences any symptoms. In this context, the technology really gives us a lead since we do not have to wait for empirical evidence and long-term studies of how the patients are managing,” says Tommy Kragh Bechsgaard. Aarhus University recently established a heart research laboratory associated with the engineering sciences. Engineers and doctors collaborate here to map cardiac stress. “In principle, you can think of the heart as a pump integrated in a closed system with an accurately balanced stress distribution. We try to identify what kind of stress is present in the healthy heart, and we use this as a reference when we carry out experiments to find out how different surgical procedures can be regulated. What will happen if we change to different sutures, for instance? Or the geometry of the implants? Or maybe the material? We are looking for new contexts and we must feel our way in the experimental stage,” explains Tommy Kragh Bechsgaard. At first, Tommy Kragh Bechsgaard will carry out his experiments on a pig’s aorta mounted in a custom-made flow simulator that can simulate physiological pressure, flow and heart rhythm. During the next couple of years, he hopes to be able to provide fundamental insight into how the heart is affected by a change in the stress distribution caused by different surgical techniques– knowledge the doctors will need when they are performing surgical repairs or reconstructions of the aorta. “We can reach new milestones in the treatment of heart diseases when doctors and engineers work together on their research. With modern technologies, we will be able to prevent the long-term complications that we do not know yet,” says Tommy Kragh Bechsgaard. The Danish Heart Foundation, The Danish Council for Independent Research, Helga og Peter Kornings fond, Holger Rabitz og hustru Doris Mary født Philipp’s Mindefond, Snedkermester Sophus Jacobsen og hustru Astrid Jacobsens Fond, Direktør Jacob Madsens & Hustru Olga Madsens Fond, Direktør Kurt Bønnelycke og hustru fru Grethe Bønnelyckes Fond, Edith og Olfert Dines Hansens Legat.